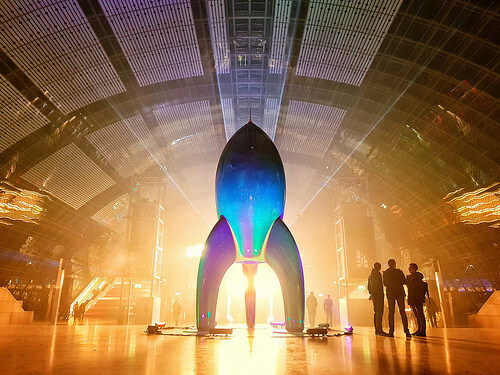 The Call for Participation for 35C3 is out now. For all of you just checking in to see the diff to 34C3 CfP, German version is below. Congress lectures usually cover a lot of bleeding edge topics, sometimes leaving the broader scope out of sight. This year we want to enable both newcomers to Congress and folks unfamiliar with recent developments to refresh their memories or get an introduction to the basics of the field – presented by experts in the fields. And yes, this might mean you! In order to accommodate for the larger venue and to correct for the overly compressed half hour lectures, we changed our Fahrplan raster to sport 20 minutes intervals, making room for a default lecture of 40 minutes and extended lectures of 60 minutes with 20 minute breaks. We will return to a scheme with two major breaks of ~45 minutes for you to relax, eat, and meet. Double features just did not work out and introduced a lot of stress, so we skipped them. We will use the extra time and more relaxed breaks to allow for more Q&A. So the standard lectures are meant to be 30 minutes plus 10 minutes Q&A, the extended lectures 45 minutes plus 15 minutes Q&A. 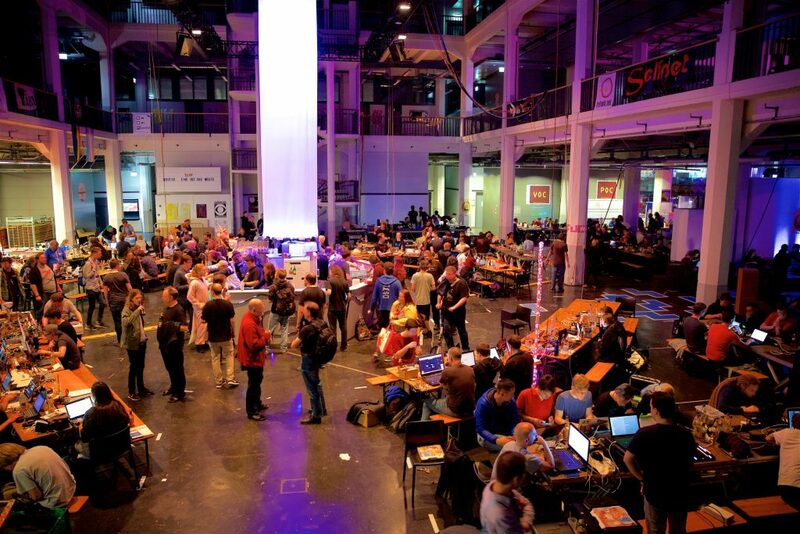 To make room for the more relaxed Fahrplan and our Foundation talks, we will open a fifth Saal in 35C3. From this year on, our content curators will actively work with submitters to improve titles, subtitles and abstracts if we feel they will confuse our audience. You can now invite other presenters to your lecture in frab, using the “Join event” button. You can see the required token (or a direct link) when clicking on “edit” for a submitted event on the bottom of the page. Was gibt’s Neues beim 35C3? Für alle, die nur kurz den Diff zum 34C3 aufschnappen wollen. Auf dem Congress finden üblicherweise viele Vorträge zu Bleeding-Edge-Themen statt, so dass zuweilen der Überblick verlorengeht. Dieses Jahr wollen wir sowohl Neulingen als auch alten Hasen, die die neuesten Entwicklungen aus den Augen verloren haben, Gelegenheit geben, ihre Erinnerung aufzufrischen oder eine Einführung in spannende Themen rund ums Hacken zu bekommen – präsentiert von Experten im Feld. Und ja, dieser Experte könntest Du sein! Um den weiteren Wegen im Gebäude gerecht zu werden und Probleme mit den hochkomprimierten Halbstunden-Vorträgen des letzten Jahres zu korrigieren, haben wir den Fahrplan in ein 20-Minuten-Raster überführt. Somit gibt es Standard-Vorträge von 40 Minuten, Extended-Vorträge mit 60 Minuten und 20-Minuten-Pausen. Auch werden wir dieses Jahr zu zwei großen Pausen um die 45 Minuten zurückkehren, um Zeit zum Entspannen, Essen und Socializen zu schaffen. Double features haben selten funktioniert und viel Stress verursacht. Wir werden sie nicht weiterführen. Mit der gewonnenen Zeit in den Vorträgen wollen wir den Fokus wieder auf Q&A verstärken. Die Standard-Vorträge sind als 30 Minuten-Vortrag plus 10 Minuten Q&A gedacht, die Extended-Vorträge 45 Minuten Vortrag plus 15 Minuten Q&A. Um für den großzügigeren Fahrplan und die neuen Foundation-Vorträge Zeit zu gewinnen, wird auf dem 35C3 erstmals ein fünfter Saal geöffnet. Ab diesem Jahr werden die Trackteams aktiv mit den Einreichern daran arbeiten, Titel, Untertitel und Abstracts zu verbessern, wenn wir das Gefühl haben, dass sie unverständlich oder verwirrend sind. Ab diesem Jahr könnt ihr Eurer Einreichung im frab selber weitere Speaker hinzufügen. Für die Co-Speaker gibt es auf der CfP-Seite ein “Join event” / “Event beitreten”. Das Token (beziehungsweise den Direktlink) gibt es auf der Bearbeiten-Seite für Eure Einreichung ganz unten. There also is a tl;dr-diff to the 34c3 CfP. Congress has grown, a lot. Many of the newcomers have a great thirst for knowledge in areas that may seem mundane and basic to others. This is why we will have a focus this year on talks that convey basic knowledge. These talks will receive a clear signifier, so they are easy to recognise. Foundations talks are not only about technical topics. They can be submitted in all tracks. Every track has a number of reserved talk slots for them. It is important that you have real expertise in the subject you want to talk about and have the ability to make it comprehensible for many people. Please note in the submission what approximate level of previous knowledge is required. Submitting a Foundations Talk will not diminish your chances to get accepted with another talk. December 27th – 30th, 2018: Chaos Communication Congress. Please submit your lecture to our conference planning system at https://frab.cccv.de/cfp/35c3. Simply follow the instructions there. 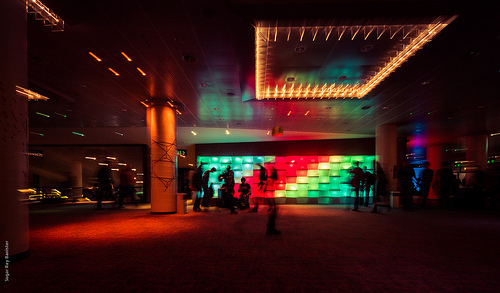 If you have any questions regarding the submission, you are welcome to contact us via mail at 35c3-content(at)cccv.de. This track is dedicated to the societal, ethical and political questions posed by technology, networks and the digitization of all aspects of life. What will our technologically enhanced future look like? What are the effects of machine learning, ubiquituous networks, digitalisation of every thing we do, automation, climate change and globalisation? How does society cope with the resulting social and political upheaval? What commercial and political interests are blocking the way forward to utopias worth living? How can we overcome them? Activist, phantastic, solidaric, and non-commercial ideas and concepts are very welcome. If you shape society with positive energy, this is the track for you. Please speak about your practical experiences! The focus is on creating things of all kinds of (e.g. textiles, musical instruments, robots, alternative energy, medical tools, …), the expansion, repair, and liberation of proprietary systems (from the decapped smart-card to the firmware of your toaster to a modified agricultural machine), the sovereign use of technology, getting your hands dirty, and all the things we can’t imagine yet – and of course rockets! For this track we are looking for content demonstrating the influence of security aspects on users and machines. We would therefore like to request technical submissions focusing on security problems and solutions in both, hardware and software. This year we dedicate some of our slots to beginners and people who are interested in the relevant basics. As part of this year’s foundations initiative, we are also looking for submissions with a loose connection to security. This includes topics from mathematics, networks, operating systems, web technologies, memory (mis)management, cryptography, programming languages, hardware design and other fields. As a curtesy to reviewers and your audience, we would like you to also rate your submission by dynamic tags we call “classifiers”. Those help us to better understand the content and what your audience can expect. If, for example, your topics cover both hardware and security, you now can show us on a scale between 0 and 100 per cent – making the classic “tracks” much more fluid. You can also tell us what level of prior knowledge you expect your audience to bring. Got something interesting to say but don’t want to submit a full talk? Consider doing a lightning talk instead. You will have five minutes to present your idea or project, or to do a rant. A formal submission through frab is not required; as usual, the lightning talks are organized via the public wiki. Lightning talks can be held in German or English and will be streamed, recorded and published (see below). Assemblies are places where communities around a certain interest can meet, talk, exchange ideas and be inspired. Assemblies play a huge part in creating the special “congress atmosphere.” They are comparable to villages at the Chaos Communication Camp. We will have lots of space, so some bigger installations will be possible. 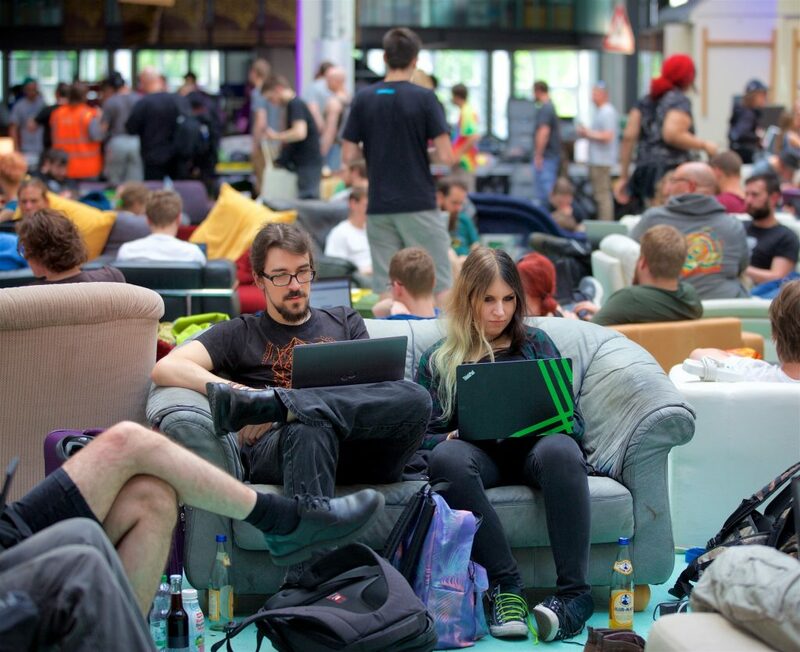 To further the exchange and the get-together of communities and groups, we will cluster the assemblies at the 35C3 along key subjects. We will link these key subjects to bigger workshop areas / stages / auditoriums which will be available for the assemblies connected to the subject for workshops, self-organized sessions or after talks discussion. You and your community are interested in adopting a key subject, or your established assembly wants to take care of more space? Then write an email to c3-assemblies@lists.ccc.de and join the effort to create a great congress. Installations with up to 30m² big roofs are possible! Please send us a description of your suggested talk that is as complete as possible. The description is the central criterium for acceptance or rejection, so please ensure that it is as clear and complete as possible. Quality comes before quantity. Due to the non-commercial nature of the event, presentations which aim to market or promote commercial products or entities will be rejected without consideration. Since most participants find – or don’t find a lecture by its title, it’s important to keep it precise, accessible and comprehensible. Our teams will keep a keen eye on title and subtitle and make suggestions to change them if necessary, so please avoid insider jokes and stereotypes. It would be a shame if we would have to reject an otherwise excellent submission because the title does not tell much about the actual content. Talks should be either 30 minutes long plus 10 minutes for questions and answers or 45 minutes long plus 15 minutes for questions and answers. Longer slots are possible if absolutely necessary, but should be an exception. Please take our limited amount of presentation time into consideration, check how much time you really need to bring home your points and then tell us the proposed length of your talk. Although the Chaos Communication Congress is an international event and a lot of content is presented in English, there will again be a translation team that will simultaneously translate most German talks into English. So if you are not comfortable with presenting in English, don’t hesitate to present your lecture in German. If your talk will be held in English, your submission should also be in English. The Chaos Communication Congress is a non-commercial event where neither the organisers nor the speakers are being paid. As an accepted speaker for a full talk, you get free admission, though. If necessary, we are able to provide limited support for travel costs. If you need help applying for a visa, such as an official invitation to present to the German embassy, please make sure to let the content team know well in advance. Please be aware that the visa application procedure may take up to six weeks. vom 27. bis 30. 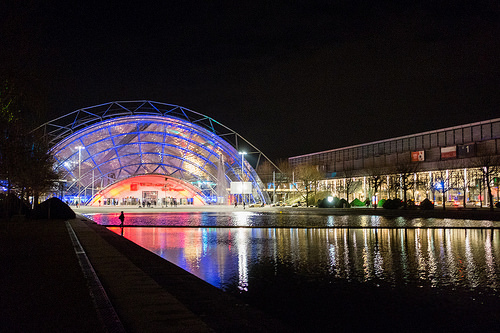 Dezember 2018 in der Leipziger Messe in Leipzig. Hier gibt es außerdem ein TL;DR-Diff zum 34C3 für Ungeduldige. Jenseits des Konferenzprogramms bietet der Chaos Communication Congress viel Raum für Community-Assemblies, Entwickler- und Projektgruppentreffen, Installationen, Lightning Talks sowie zahlreiche Workshops. Wir haben auch spezielle Angebote für Kinder und Jugendliche. Dazu wird es jeweils eigene Blogbeiträge geben. Der Congress ist größer geworden. Viele der neu Dazugekommenen haben großen Wissensdurst in Bereichen, die manch anderen vielleicht selbstverständlich und banal erscheinen. Deswegen werden wir dieses Jahr Talks, die Grundlagenwissen vermitteln, separat ausweisen. Dabei geht es nicht nur um technische Themen. Foundation Talks können zu allen Themen der jeweiligen Tracks eingereicht werden, es gibt in jedem Track eine Anzahl dafür reservierter Slots. Wichtig ist, dass Ihr Euch mit dem Thema wirklich auskennt und es allgemeinverständlich aufbereiten könnt. Bitte vermerkt in den Notizen zur Einreichung, welches Niveau an Vorwissen ungefähr vorausgesetzt wird. Die Annahme-Chancen von Einreichungen Talks bleiben von einer Foundation-Talk-Einreichung unberührt. 27. bis 30. Dezember 2018: Chaos Communication Congress. Nur Online-Einreichungen: Alle Vortragsvorschläge werden über unser Konferenz-Planungssystem eingereicht, das sich unter folgender Adresse befindet: https://frab.cccv.de/cfp/35c3. Bitte folge den Anweisungen, die sich dort finden. Wenn es Fragen bezüglich der Einreichung gibt, kannst Du uns unter der E-Mailadressse 35c3-content(at)cccv.de erreichen. Dieser Track ist den gesellschaftlichen, ethischen und politischen Fragen gewidmet, die sich durch die Technisierung, Vernetzung und Digitalisierung aller Lebensbereiche ergeben. Was wird eine technisierte Zukunft bringen? Welche Auswirkungen haben maschinelles Lernen, allgegenwärtige Netzverfügbarkeit, Digitalisierung aller Lebensäußerungen, Automatisierung, Klimawandel und Globalisierung? Wie geht die Politik und die Gesellschaft mit den daraus entstehenden sozialen und politischen Verwerfungen um? Welche kommerziellen und politischen Interessen stehen lebenswerten Utopien im Wege? Wie können wir sie überwinden? Aktivistische, phantastische, solidarische und kommerzfreie Ideen und Konzepte sind hier gern gesehen: Wer die Gesellschaft mit positiver Energie gestaltet, ist in diesem Track richtig. Berichtet von Euren praktischen Erfahrungen! Der Fokus liegt auf dem Schöpfen von Dingen jedweder Art – z. B. Textilien, Musikinstrumenten, Robotern, medizinischen Werkzeugen, alternativen Energieversorgungen –, dem Erweitern, Reparieren und Befreien von durch den Hersteller verschlossenen proprietäreren Systemen (von der aufgeschliffenen Smartcard über die Fimware Eurer Toaster bis zur modifizierten Landmaschine) sowie all den Dingen für einen souveränen Umgang mit Technik, an die wir noch gar nicht gedacht haben. Und natürlich Raketen! In diesem Track wünschen wir uns Einreichungen, die zeigen, welchen Einfluss Sicherheitsthemen auf Mensch und Maschine haben. Hierfür suchen wir nach technischen Einreichungen rund um Sicherheitsprobleme und deren Lösungen im Bereich Software und Hardware. Wenn Du bereit bist, den Spaß an Deinen Entdeckungen mit tausenden Security-Enthusiasten zu teilen, ist dies Dein Track. 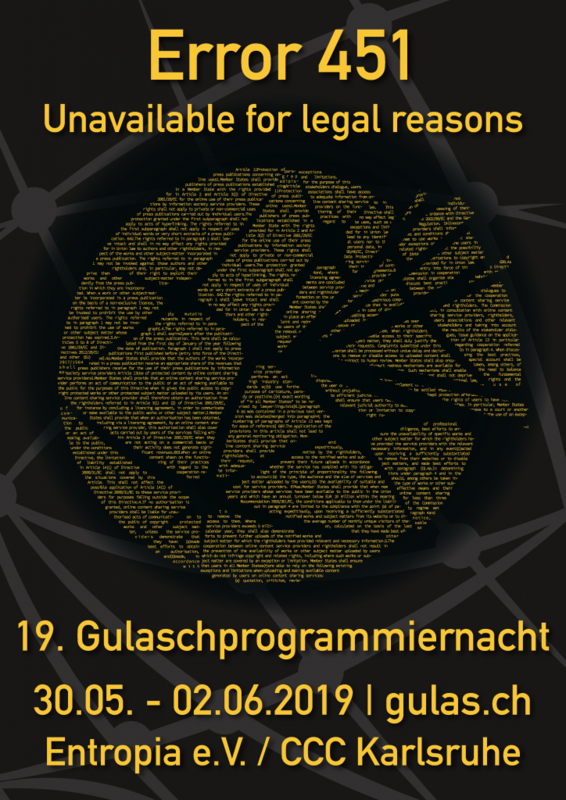 Wenn Du neue Lösungen für bisher ungelöste Probleme entwickelt hast, ist dies Dein Track. Wenn Du neue Sicherheitsprobleme entdeckt hast, von denen wir gar nicht wussten, dass es sie gibt, ist dies Dein Track. Außerdem widmen wir als Teil der Foundations-Initiative dieses Jahr einen Teil unserer Slots Einsteigern und Menschen, die an relevanten Grundlagen interessiert sind. Hierfür suchen wir Einreichungen mit losem Security-Bezug zum Beispiel aus den Bereichen Mathematik, Netzwerke, Betriebssysteme, Web-Technologien, Speicher-(Mis-)Management, Kryptographie, Programmiersprachen, Hardware-Design und vielen mehr. Wir sehen Wissenschaft als eine Methode zum „Reverse Engineering“ der Welt und interessieren uns für die neuesten Ergebnisse. Wie können wir unseren orbitalen Vorgarten vom Weltraumschrott befreien, der sich über die Zeit dort angesammelt hat? Wie können wir Algorithmen entwickeln und sie mit Daten füttern, die nicht bestehende Diskriminierungen reproduzieren und verstetigen? Wie lassen sich durch DNA-Editing Krankheiten heilen, ohne eine Zombieapokalypse auszulösen? Um von neuem Wissen und daraus resultierender Technik zu profitieren, müssen wir verstehen, wie sie mit unserer Umwelt und Gesellschaft zusammenhängen und sie beeinflussen. Egal ob ihr an Forschungszentren, Universitäten oder in der Garage arbeitet: Wenn Ihr interessante und wichtige Entwicklungen von einem wissenschaftlichen Standpunkt aus erkundet und evaluiert, ist das Euer Track! Nicht alle technischen Entwicklungen sind Fortschritte, daher können und sollten sie Widerstand herausfordern. Welche neuen Ideen und Forschungen gibt es, Individuen ihre Freiheiten zu bewahren oder wiederzugeben und Netze und Dienste zu dezentralisieren? Welche Werkzeuge haben wir für eine lebenswerte Zukunft? Welche wollen wir noch entwickeln? Im Track Resilience sind Einreichungen gern gesehen, die zu einer lebenswerteren und nachhaltigeren Welt führen. Von Interesse sind dabei sowohl Technologien und Projekte mit langer Historie als auch solche, die gerade erst entwickelt werden. Neben der klassischen Sortierung in Tracks gibt es dynamische Tags, die wir „classifier“ nennen: Helft Euren Reviewern und Eurem Publikum dabei, Eure Einreichung besser zu verstehen, indem Ihr sie bezüglich des Inhalts und des Anspruchs ans Publikum selber bewertet. Somit sind beispielsweise Vorträge sowohl mit Security- als auch Hardware-Aspekten für die Teilnehmer leichter zu finden und von den Kuratoren der jeweiligen Tracks leichter abzuwägen. Und das Publikum kann sich darauf einstellen, ob es mit Einsteiger- oder Profiniveau zu rechnen hat. 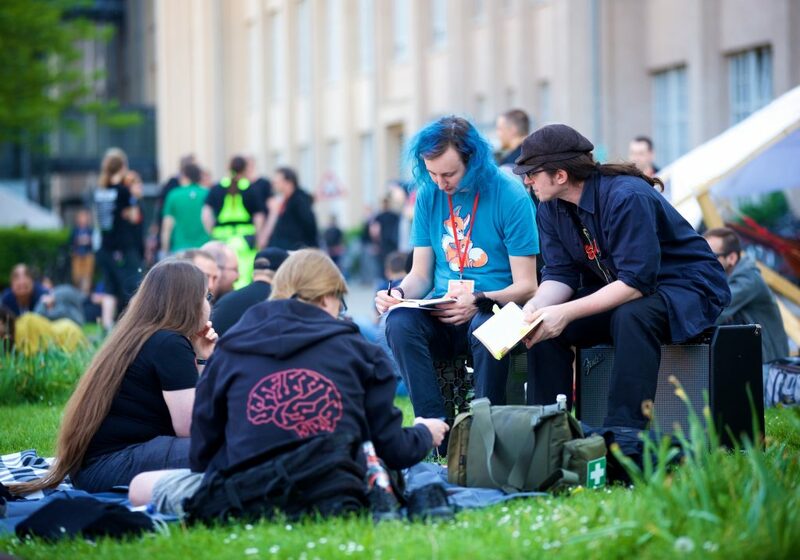 Um den Austausch und das Zusammenfinden innerhalb der Communities & Gruppen weiter zu fördern, gruppieren wir die Assemblies nach Themenschwerpunkten. An diese Schwerpunkte schließen wir größere Workshop-Bereiche, Bühnen oder Auditorien an, welche von den angeschlossenen Assemblies bespielt werden. Es ist Platz für passende Workshops, Self-organized Sessions oder „After Talk Discussions“. Du und Deine Gruppe haben Lust, sich um ein Thema zu kümmern? Eure Assembly aus den letzten Jahren würde sich gern erweitern? Dann schreib uns eine Mail an c3-assemblies(at)lists.ccc.de und lass uns zusammen einen tollen Congress gestalten. Installationen mit bis zu 30 Quadratmetern überdachter Fläche sind brandschutztechnisch möglich. Die übliche Anmeldung für die Assemblies wird zu gegebener Zeit angekündigt und über das Wiki stattfinden. Eine Einreichung über das Konferenzplanungssystem frab ist für Projekte, Installationen oder Workshops nicht nötig. Wir werden wieder ein Wiki haben, in dem wir den Bedarf an Platz und anderen Bedürfnissen sammeln. Fange einfach schon mal an, darüber nachzudenken, was Du machen, mitbringen oder zeigen willst, bevor das Wiki online geht. Wir haben viel Platz, und wir sind offen für Verrücktes und Überraschendes. Bitte schicke uns eine sinnvolle, möglichst vollständige, aber nicht übermäßig lange Beschreibung Deines geplanten Vortrags. Die Beschreibung hat einen großen Einfluss auf die Auswahl und sollte aussagekräftig sein. Qualität geht natürlich vor Quantität. Es ist nicht sinnvoll, Firmen- oder Produktpropaganda einzureichen, auch nicht verdeckte. Marketing- und Sales-Droiden verschwinden bekanntermaßen von dieser Veranstaltung, ohne eine Spur zu hinterlassen. Wir wollen einen kommerzfreien Congress gestalten. Da die meisten Teilnehmer hauptsächlich über den Titel auf Vorträge stoßen, sollte dieser verständlich, prägnant und für den Inhalt relevant sein. Die Track-Teams werden darauf ein besonderes Augenmerk legen und bei Bedarf helfen. Wir behalten uns vor, bei Insider-Witzen in den Titeln Korrekturvorschläge zu machen und im Zweifel auch einen an sich guten Vortrag wegen unverständlichem Titel oder Beschreibung abzulehnen. Da die Chance besteht, dass mehrere Leute einen Talk zum gleichen oder ähnlichen Thema einreichen, zeige uns bitte ganz genau, warum ausgerechnet Dein Talk dabei sein sollte – denke daran, dass die Teams divers besetzt sind und nicht alle Kuratoren alle Einreichenden und deren Hintergrund kennen. Es kann hilfreich sein, bei der Einreichung etwas über Dich selbst, Deine Forschung oder Deine Motivation zu schreiben. Es ist uns vollkommen egal, ob der Talk schon einmal auf einer anderen Konferenz irgendwo auf dem Planeten stattgefunden hat. Wir bitten nur darum, dass der Inhalt aktuell ist. Vorträge können entweder 30 Minuten plus 10 Minuten für Fragen und Antworten oder 45 Minuten plus 15 Minuten für Fragen und Antworten lang sein. Ausnahmen bestätigen die Regel. Bitte überlege genau, wie lange Du wirklich für einen prägnanten Vortrag brauchen wirst, undteile uns bei der Einreichung mit, wie lang Dein Vortrag dauern soll. Die Audio- und Video-Aufnahmen der Vorträge werden online in verschiedenen Formaten veröffentlicht und unter die Creative-Commons-Lizenz, Namensnennung 4.0 (CC BY 4.0), gestellt. Für Medien erlaubt diese Lizenz die kommerzielle Nutzung von Ausschnitten im Rahmen ihrer Berichterstattung. Wenn keine Veröffentlichung oder kein Streaming für Deinen Vortrag stattfinden soll, teile uns dies bitte unmittelbar bei Deiner Einreichung mit. Das ändert nichts an der Bewertung Deiner Einreichung, sondern ist für uns eine organisatorische Frage. Der Chaos Communication Congress ist ein nicht-kommerzielles Event. Weder die Organisierenden und die vielen Helfenden noch die Vortragenden werden für ihre Teilnahme bezahlt. Als Vortragender bekommst Du allerdings freien Eintritt. Bei Bedarf ist es möglich, finanzielle Unterstützung für Fahrtkosten zu beantragen. Benötigst Du Hilfe beim Beantragen eines Visums, zum Beispiel in Form einer offiziellen Einladung zur Vorlage bei einer Deutschen Botschaft, sage dem Content-Team bitte rechtzeitig Bescheid. Bitte denke daran, dass die Bearbeitung bis zu sechs Wochen dauern kann.